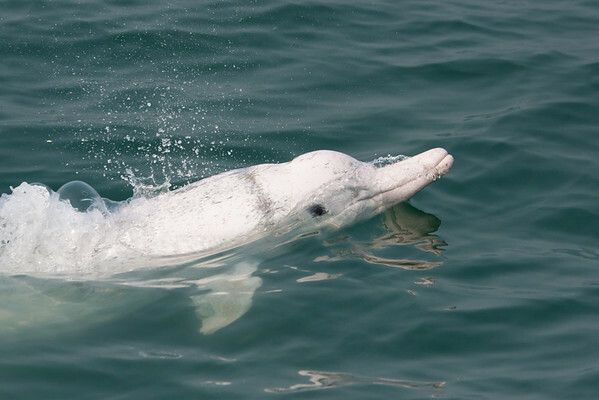 Often referred to as the 'Chinese White Dolphin', these dolphins are also nicknamed 'pink dolphins' as the adults do appear pink. This colouration is thought to be a result of blood rushing to blood vessels under the skin, in the same way a human gets red cheeks when embarassed or when exercising. The more active the dolphin is, the more pink they will appear!